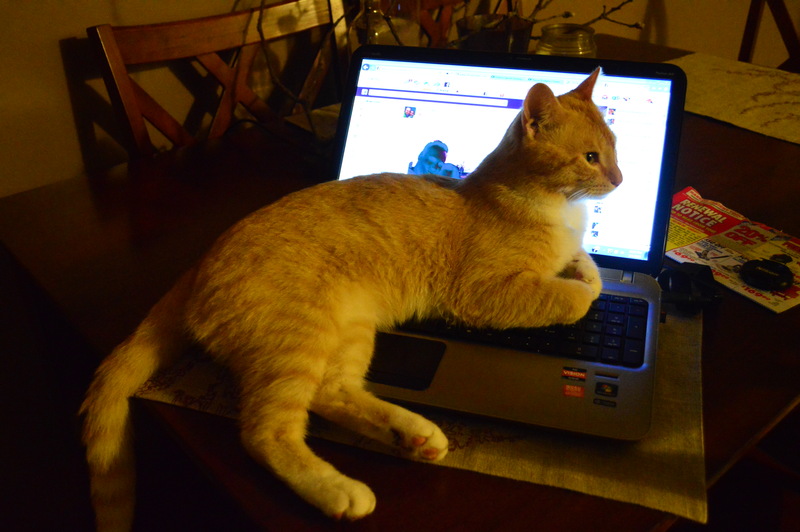 This is what the cat does when I try using the computer instead of petting him. This entry was posted in Archives + Other and tagged Animals, Cats, Just For Fun, Life, Pets, Photography, Unimportant Ramblings, Various & Sundry. Bookmark the permalink. I’m blaming Danda for my blogging errors…. I can definitely see how it’s Danda’s fault…probably he distracted you or something sinister like that. God, he’s such a distractor! 🙂 I can see personality written all over the pictures of Katniss! And I know you wouldn’t want him to be any other way….most of the time. Cats can be so demanding! I have two-a front porch cat and a back porch cat. The front porch cat is like yours. I’m always hoping she’s out chasing mice when I want to sit there. She crawls on my husband’s lap when he’s sitting out in his garage sorting through stuff. She’s also known as the “junkyard cat” as she is fond of sitting in a bed of tools! 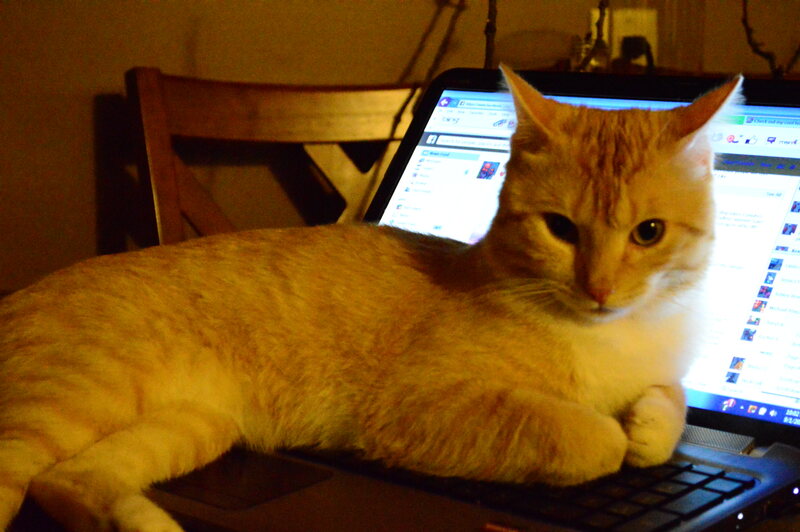 Looks like the cat handles all of your Facebook action. Is he your social media manager? Well done kitty.